Tuition Fees: Rs. 60 Lacs. Application Deadline: 15th August and 15th December. Ross University School of Medicine is committed to educating a diverse group of skilled physicians. Ross has more than 12,000 alumni. Ross graduates are practicing all over the United States, Canada, and beyond. 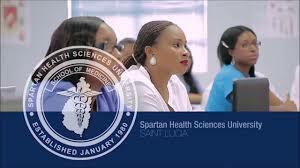 Ross is one of the oldest and most accomplished Caribbean medical schools serving students primarily from the U.S. and Canada. Ross University School of Medicine, founded in 1978, is committed to educating a diverse group of skilled physicians to serve as leaders in the US healthcare system. Ross has more than 12,000 alumni who are practicing all over the United States, Canada, and beyond. Congratulations to more than 785 current and former Ross graduates who attained residency appointments in 2016. 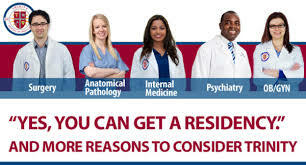 RESIDENCY: The majority of Ross graduates secure residency positions through the National Resident Matching Program® with some of the most prestigious teaching hospitals and leading medical centers in the United States. Review a list of medical school residency appointments here. 2016 RESIDENCY OUTCOMES: More than 785 Ross graduates attained residencies in 2016. View the current list here. Please note that this list is subject to change as more residencies are added. The 2016 residency attainment rate for first-time eligible graduates was 86%. STUDENT RETENTION AND ATTRITION: Of the students who matriculated between January 2013 and September 2015, 89% are still enrolled. CAREERS: More than two-thirds of Ross graduates enter residency programs in primary care (internal medicine, family medicine, pediatrics, etc.). There is an urgent shortage of primary care physicians in the United States. Ross is proud to play a leading role in addressing the urgent need for primary care physicians in the United States. MCAT OF INCOMING STUDENTS: The average MCAT of students Ross students entering medical school in September 2015, January 2016, and May 2016 is 25 (discontinued exam) and 496 (new exam). CLINICAL TRAINING: Ross has a strong network of US teaching hospitals where students complete core rotations. All students have the opportunity to complete their core rotations in a single geographic area. FACULTY: Every member of the Ross faculty holds a medical and/or doctorate degree. Many are also board certified in their specialties. The primary focus of Ross faculty is the teaching and mentoring of medical students. STUDENT SUPPORT: The Center for Teaching and Learning at Ross provides individualized resources to help students develop and maintain strong study and learning habits and become lifelong learners. Additionally, Ross’s student support model provides students with an array of support services throughout their medical school experience. THREE CLASS STARTS EACH YEAR: Ross offers three enrollment periods each year, with semesters starting in January, May, and September. After completing semester one, students have the option to select one of two curriculum tracks—one traditional, one accelerated—to complete the pre-clinical program in Dominica in either 16 or 20 months, respectively. ACCREDITATION: Ross is accredited by the Dominican Medical Board (DMB) and the Caribbean Accreditation Authority for Education in Medicine and Other Health Professions (CAAM-HP). STATE APPROVALS: Some states such as New Jersey, New York, California, and Florida require approval for international medical schools. Ross is proud to be approved in each of these states. TITLE IV ELIGIBILITY: The US Department of Education has certified Ross as an eligible institution for Title IV Federal Direct Student Loans. Ross students who qualify are eligible to receive US student loans in order to attend the university. INTERNATIONAL RECOGNITION: The World Health Organization (WHO) includes Ross in its listing of medical schools approved by recognized national authorities. TECHNOLOGY DISTINCTION: Ross’s Simulation Institute on the Dominica campus earned accreditation from the Society for Simulation in Healthcare, an organization that seeks to improve performance and reduce errors in patient care through the use of simulation. The tuition fees will now be required to be paid on annual basis for the first 3 years program. During Clinical Rotation, you would be allowed to pay the fees in 5 installments. The expenses for returning rassport helping you get B1 Visa during Clinical Rotation . Till March, 2016 the Indian students exam. Hoo y different than Indian MBBS. The alternative route was pthe Indian doctors. However, from April, 2016, thwith its lat NORI (No Oblarogram USA to ensure tyour medical career in USA!